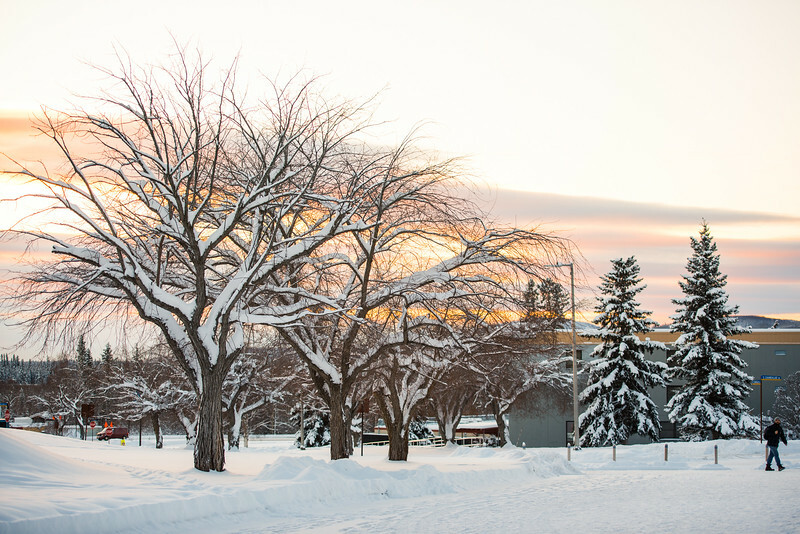 The sun begins to set on January 18, 2017 as temperatures reached forty below on campus. 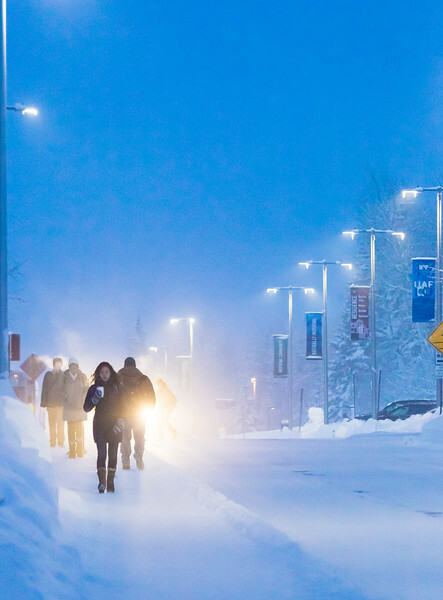 Students walk toward lower campus while Fairbanks temperatures reach forty below. 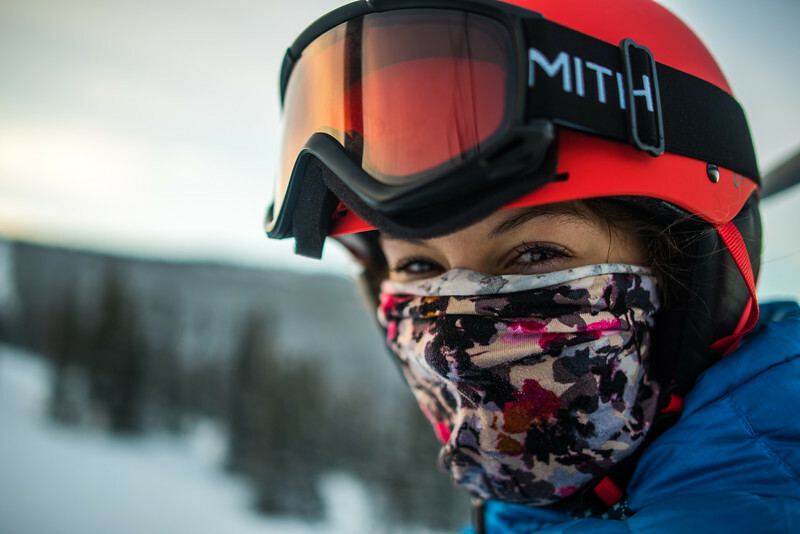 University of Alaska student Katherine Stark poses for a portrait while riding the chairlift at Skiland. 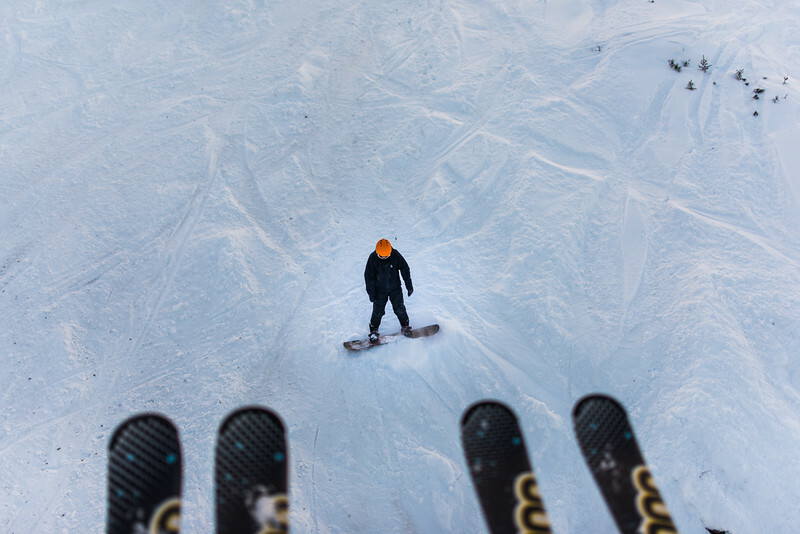 Beginning in 2016, all UAF students were allowed to ski for free at the ski park. 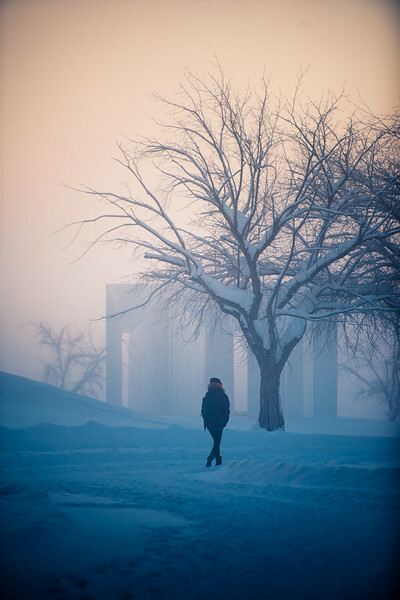 A UAF Student walks by Wickersham Hall in -40 degree weather on the second day of spring semester 2017. UAF student Richard Chen snowboards down the main hill at Skiland. 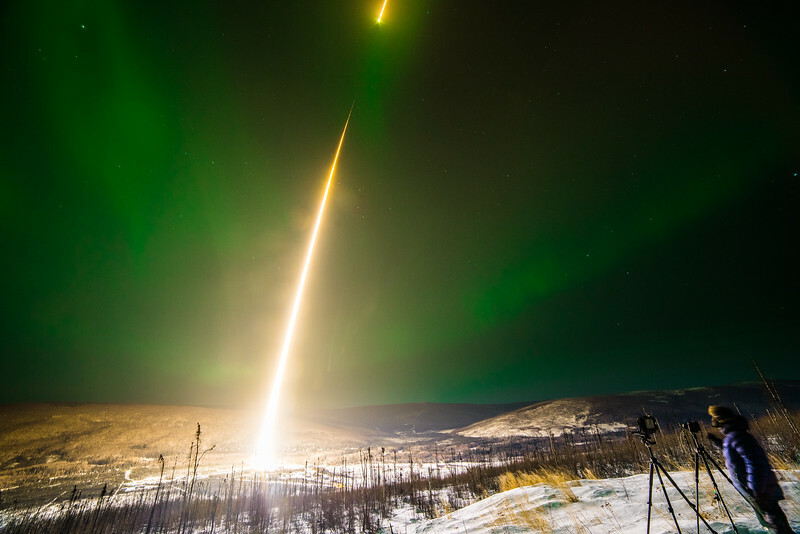 Swiss national Yannic Bartolozzi photographs a rocket taking off into the aurora from Poker Flat Research Range on the night of Feb. 21. 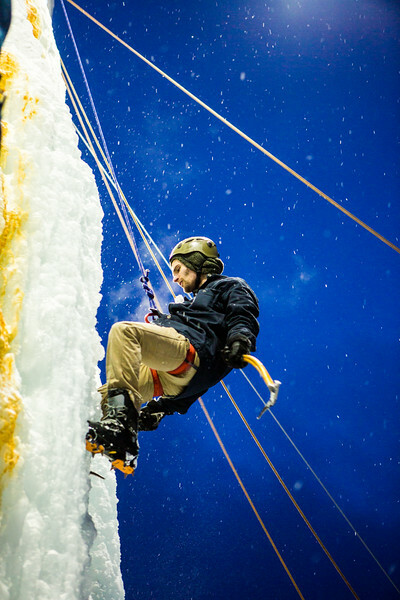 UAF students and Fairbanks residents participated in an ice climbing wall competition on Friday, Feb. 24, 2017 outside of the UAF SRC. 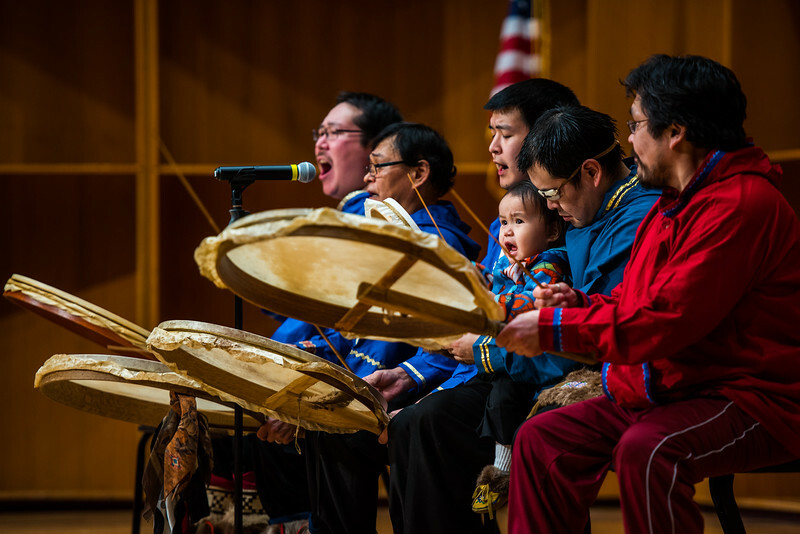 Performers play drums on the stage of the Davis Conert Hall as a part of the Festival of Native Arts. Meghan Fowler puts on lipstick prior to the final rehearsal of UAF's Five Women Wearing the Same Dress on Friday, Mar. 30. 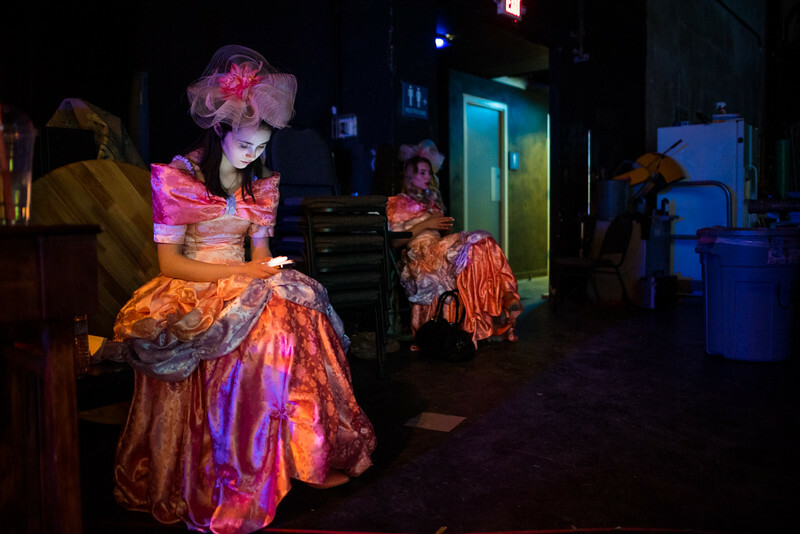 Actors Natilly Hovda (front) and Meghan Fowler (back) take a short break during an intermission from Five Women Wearing the Same Dress. 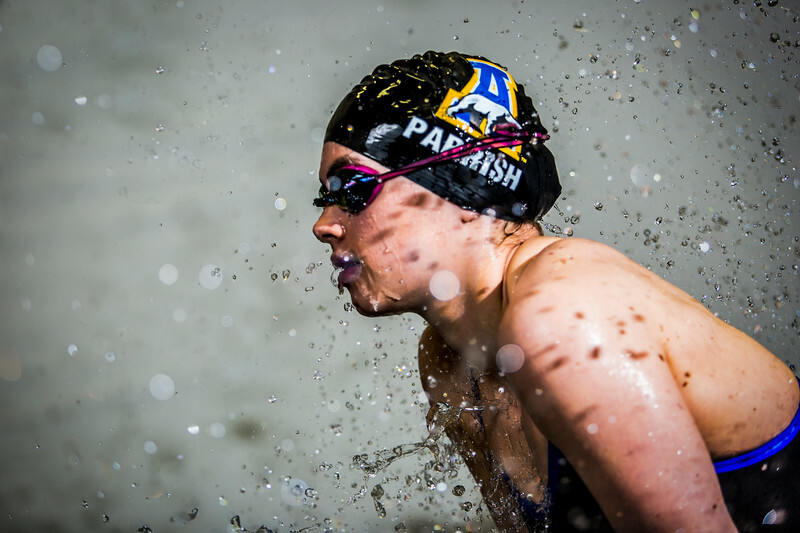 Nanook Swimmer Ava Parrish poses for a watery portrait during a post-season photoshoot at the Patty Pool on Apr. 1. 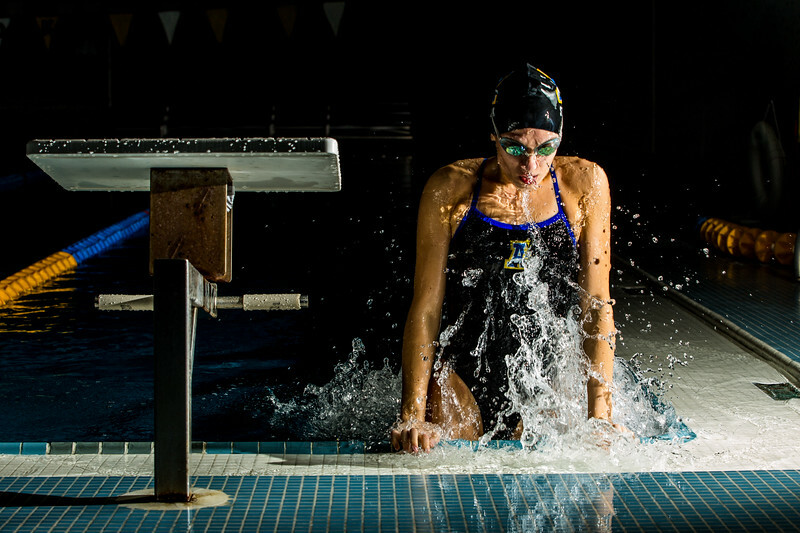 Alaska Nanook swimmer Katherine Stark pulls herself out of the Patty pool during an after practice photo shoot on Saturday, April 1st. Stark is a Journalism student with a minor in Psychology. 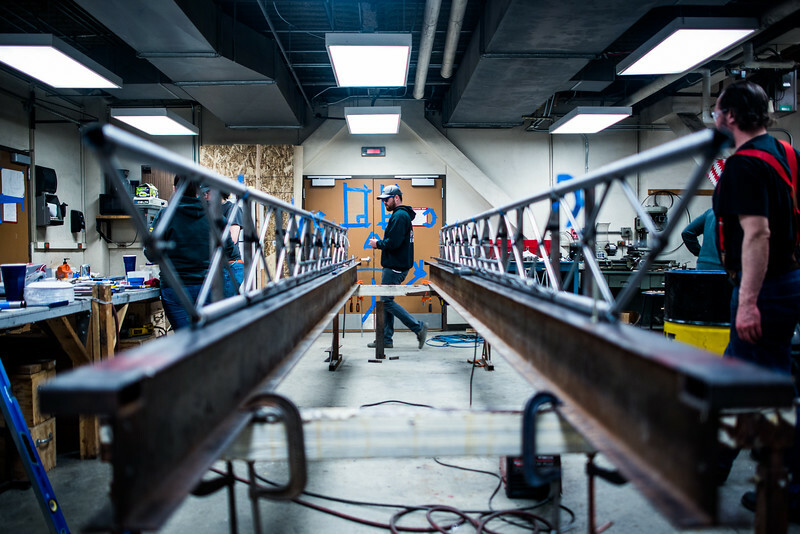 Civil Engineering student Danny Smith walks across the room while working on UAF's entry to the Steel Bridge contest. 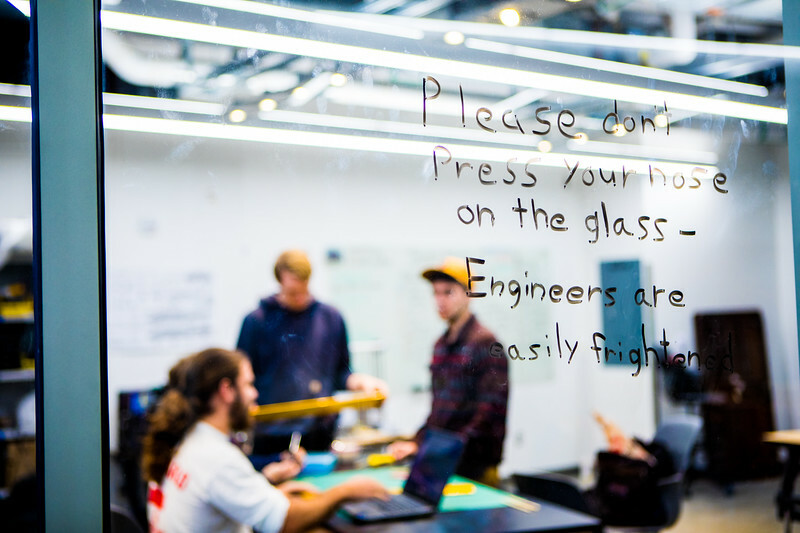 With less than two weeks to go, the students involved were in the lab for more than 12 hours on both Saturday and Sunday. 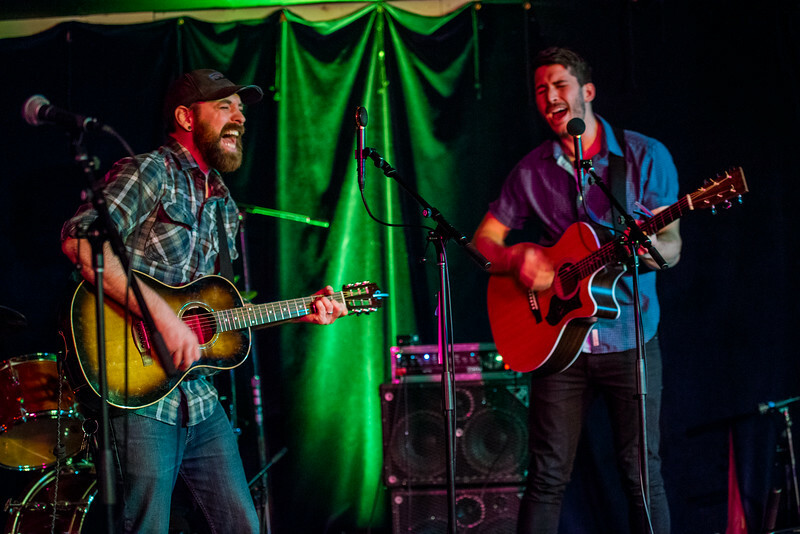 UAF musicians and bands met in the pub on Friday, March 31, for the annual Cover Up concert. During Cover Up, bands dress up and play songs from a well known band. 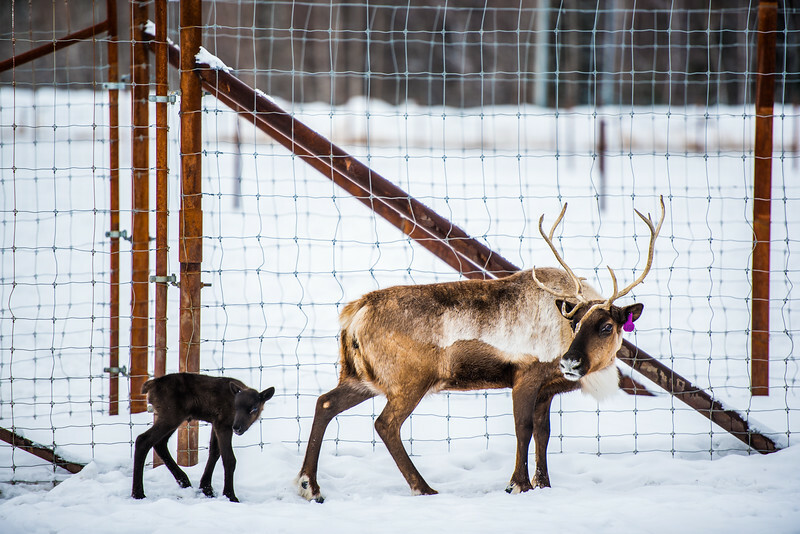 The first Reindeer calve of the year follows its mother at the Experimental Farm on Apr. 7, 2017. The calve was born on the fifth of April. 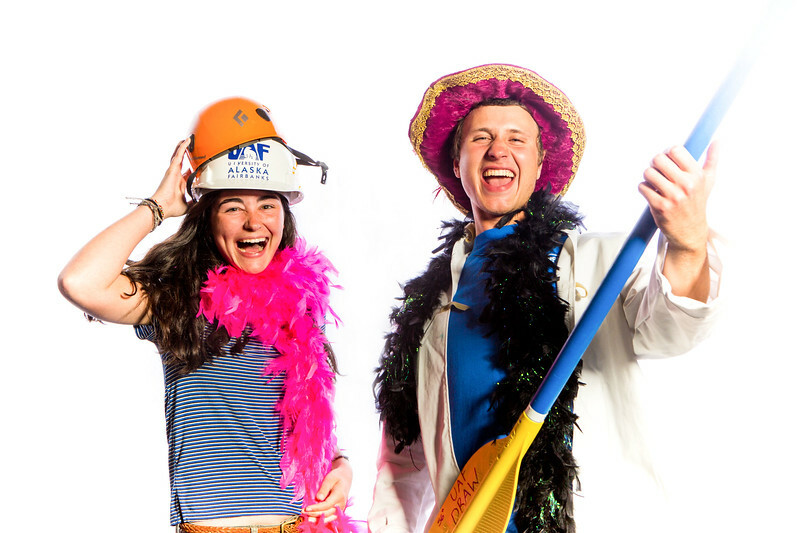 Danielle Bessent (left) and Luke Rogers (right) pose for a photo during the Wood Center Late nighter in the multi level lounge. 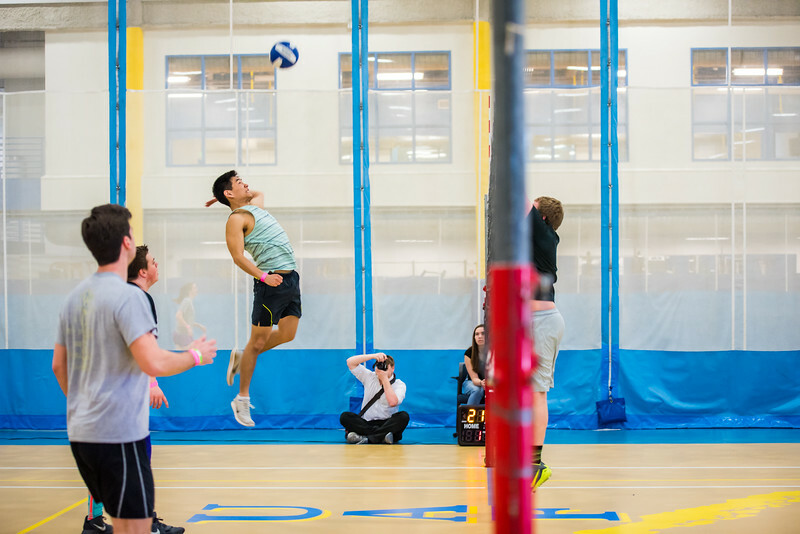 Civil Engineering student Jae Ham jumps during Spring Fest mud vollleyball. Due to the high sno levels outside, mud volleyball was moved inside to the SRC. 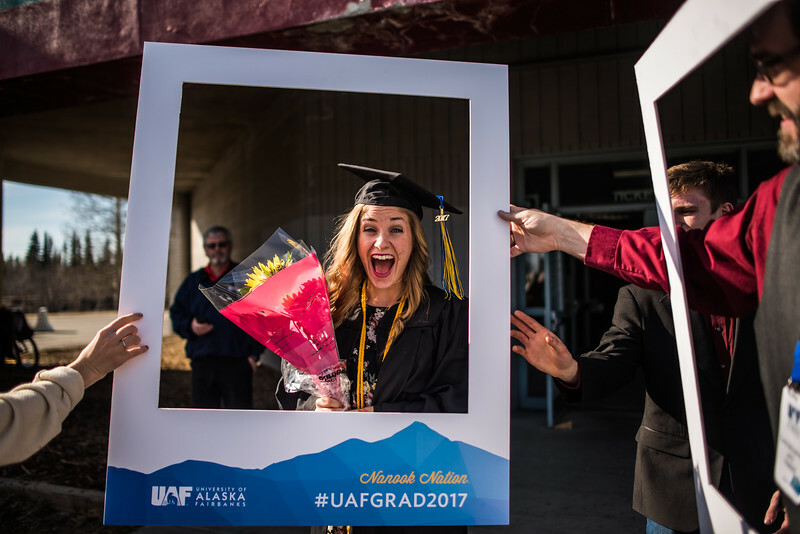 A 2017 UAF graduate poses for portrait following her commencement ceremony at the Carlson Arena. 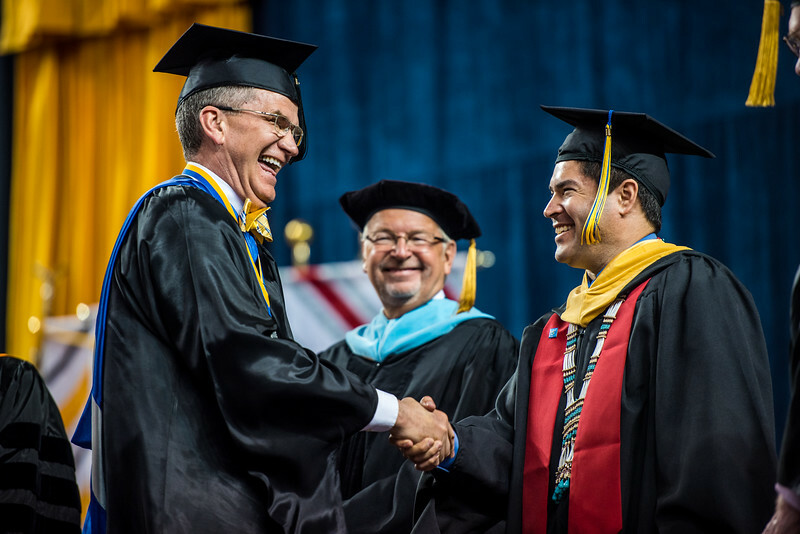 Greg Owens (left), Associate Professor of Mathematics and Developmental Education, Emeritus, shakes hands with Vice Chancellor of Rural Community and Native Education Evon Peters (right) at UAF's Commencement 2017. 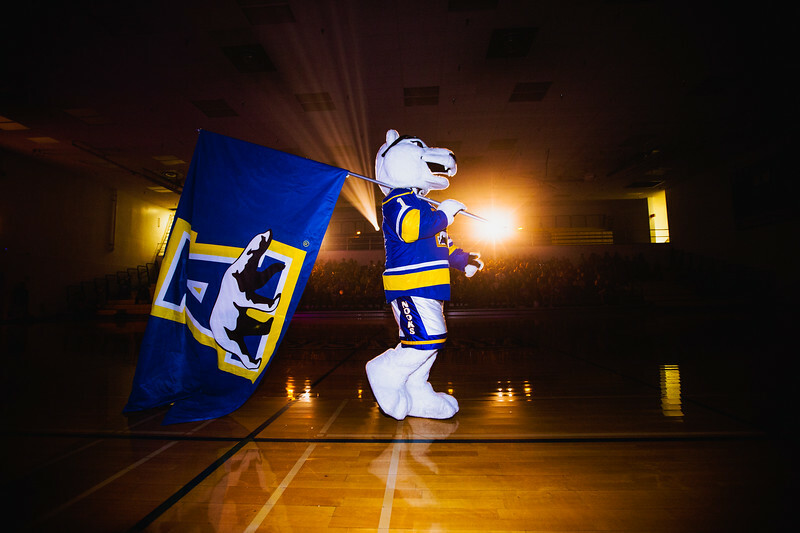 The Nanook walks across the Patty gym on the night of Aug. 22 during Orientation Kickoff. 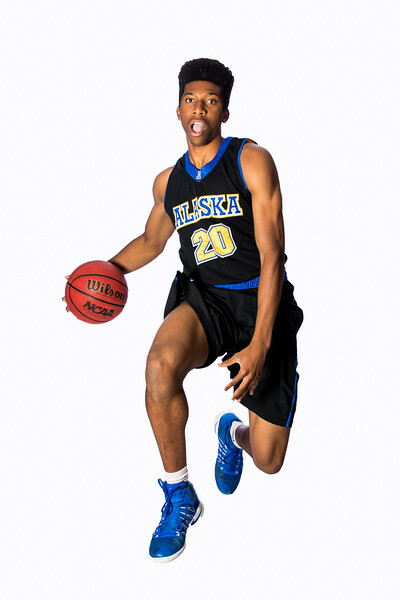 Senior Nanook basketball player Ladonavan Wilder poses for a portrait at the Patty Center gym. Nanook swimmers Ava Parrish (right) and Claire McElroy (left) pose for a group photo in Eielson 303 during pre-season photos. 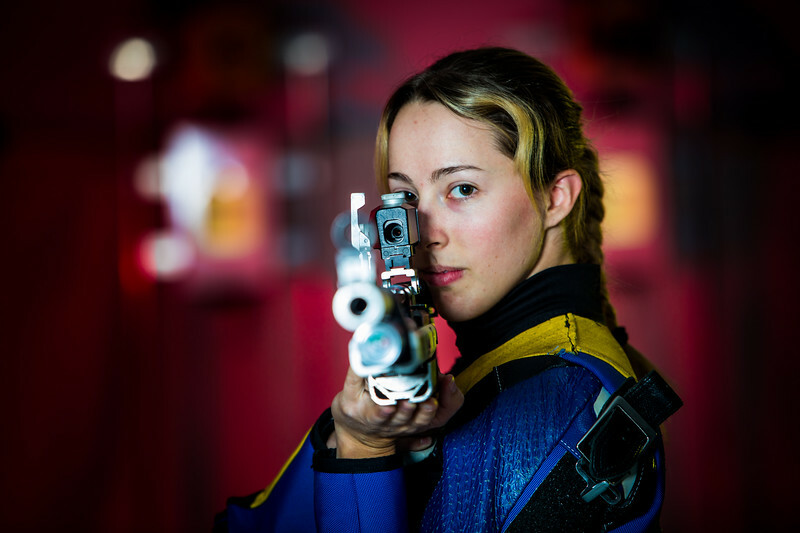 2017 Nanook rifle senior Sagen Maddalena poses for a portrait in the Patty center rifle range. 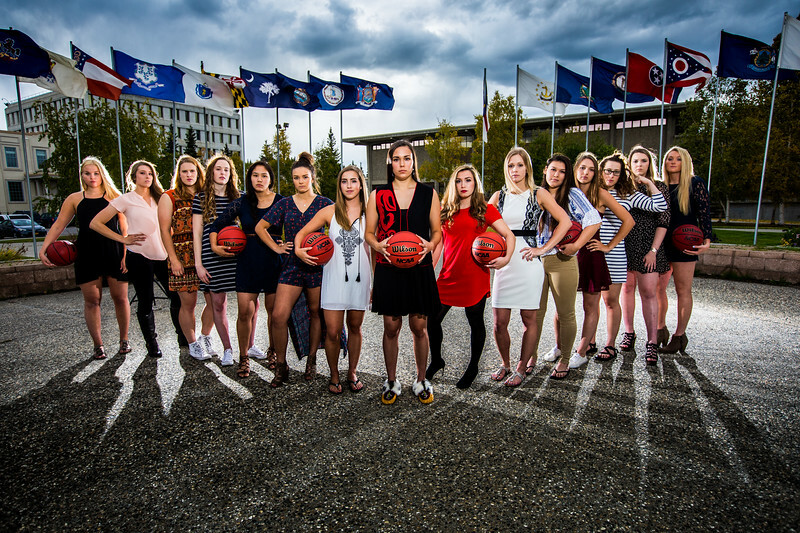 The Nanook Women's Basketball team poses for a team photo in the flag circle. 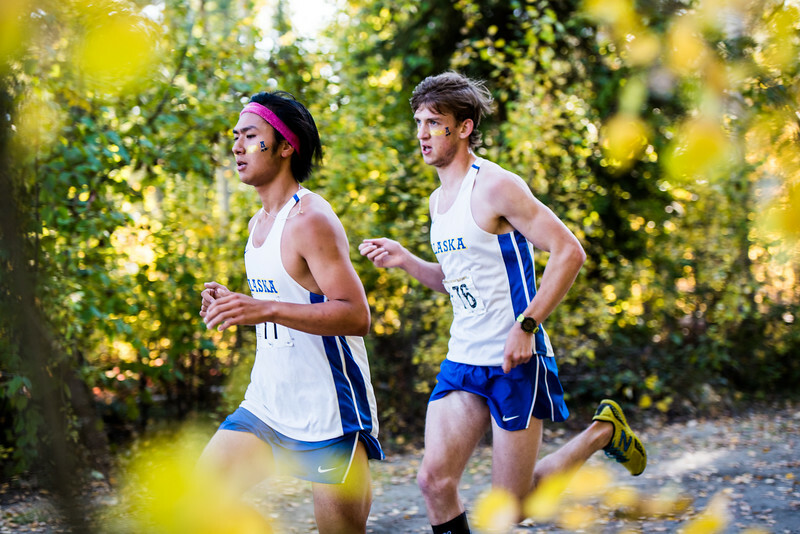 Cross country runner Seiji Takagi (left) is followed by Jacob Walsh (right) during the Moda Health Blue and gold meet on Sept. 8. Nannook basketball players Michael Kluting (left) and Joe Lendway (right) compete in the Moda Health Blue and gold meet on Sept. 8. 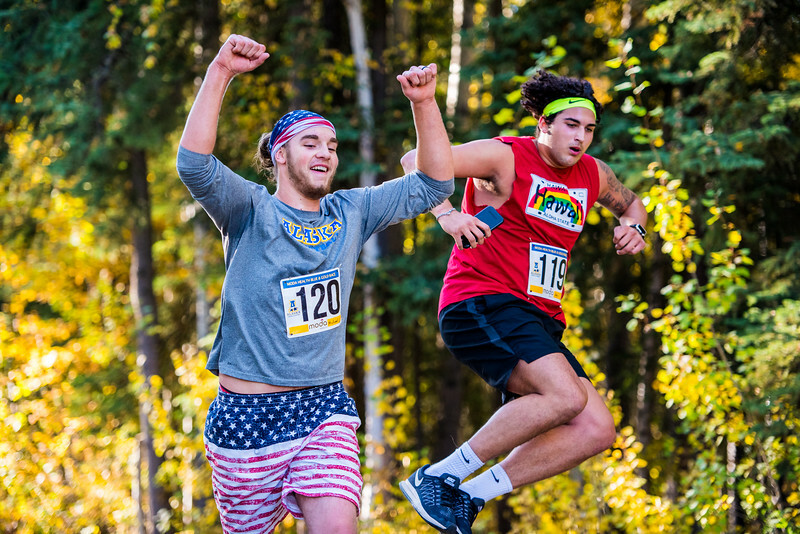 The race was open to any athletes or community members to compete in. 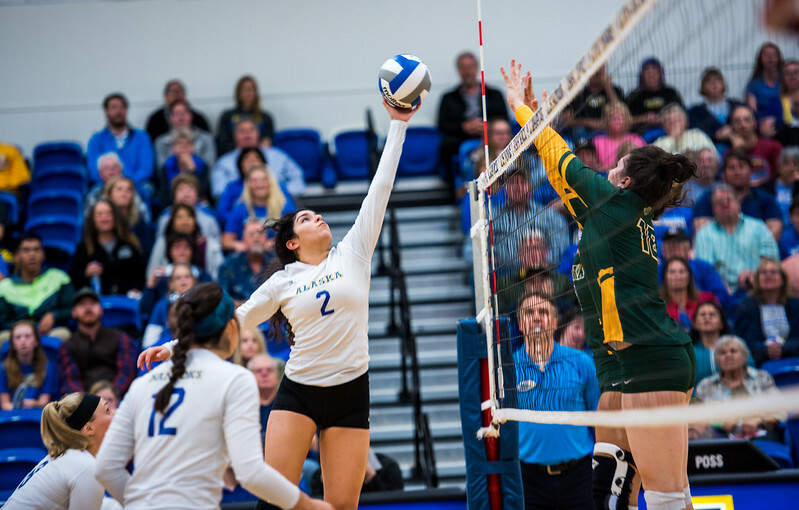 Gabby Lerma hits the ball during the Nanooks match against the University of Alaska Anchorage on Sep. 12, 2017. The loss ended the Nanooks 7-game winning streak. 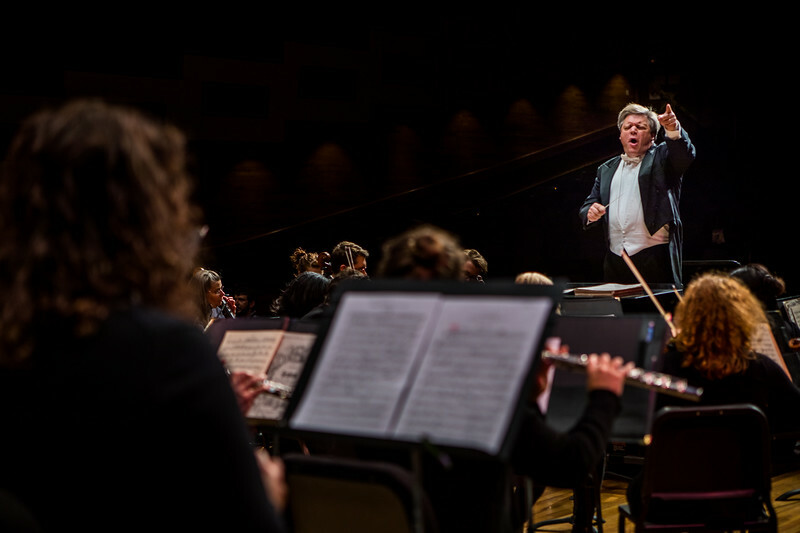 Professor Eduard Zilberkant conducts the Fairbanks Symphony Orchestra during a rehearsal in mid September at the Davis Concert Hall. 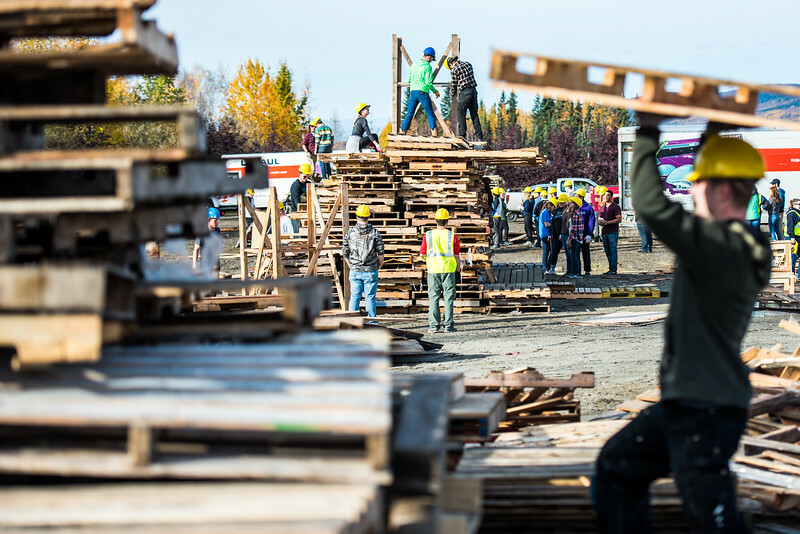 Student groups build their structures at Starvation Gulch 2017 in the Taku lot. 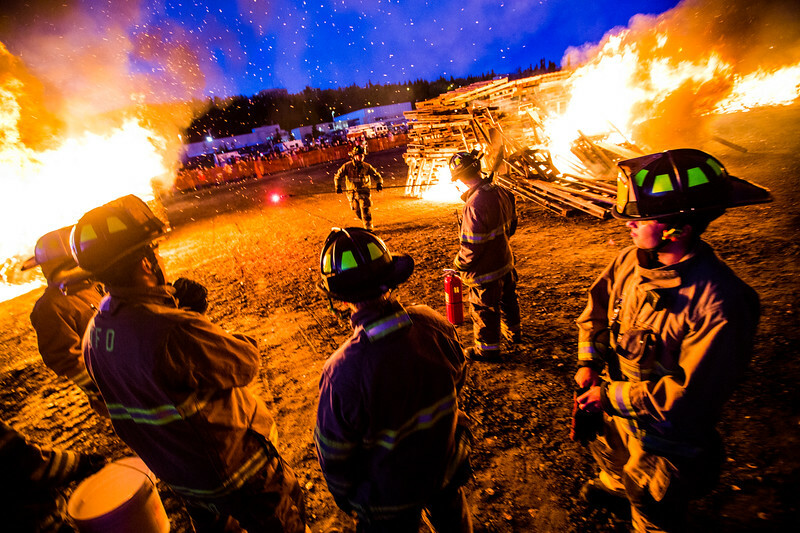 UFD fire chief Douglas R. Schrage jogs away from a fire he lit on the last structure at Starvation Gulch 2017. 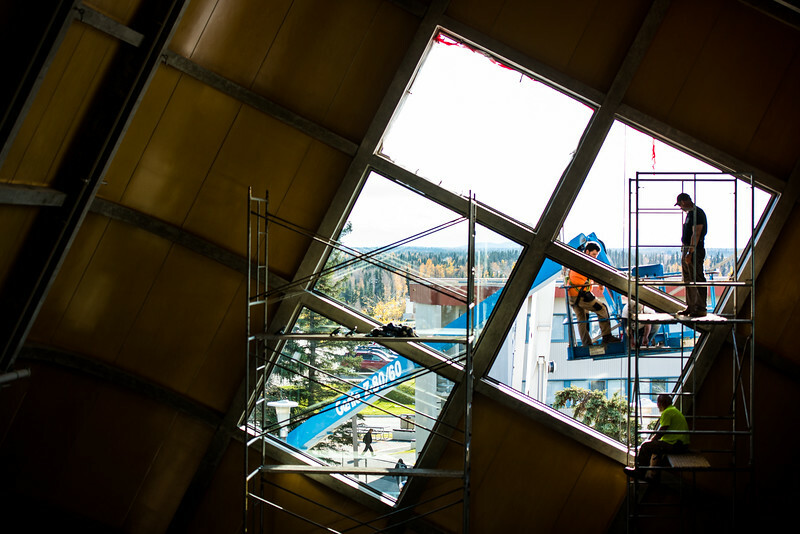 Contruction workers install windows in the Wood Center as a part of the roof remodelling. Engineering students work on a project for AIAA's Design, Build Fly Competition in the Engineering on Display room. 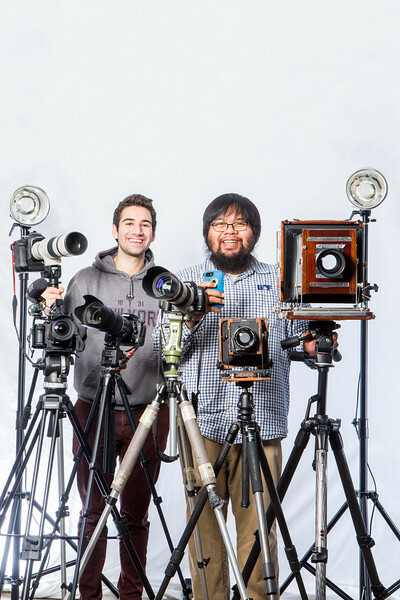 University Relations photographers Zayn Roohi and JR Ancheta pose for a portrait with all of their cameras on Sep. 27 in Eielson 303. 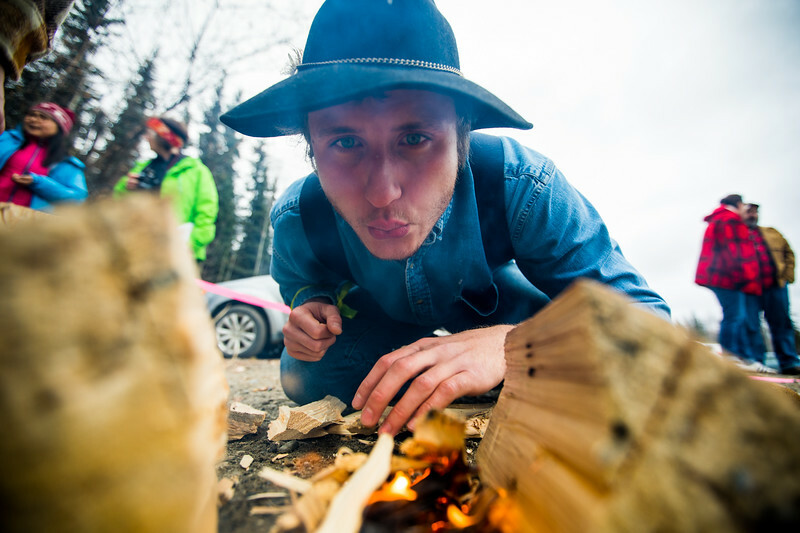 Luke Rogers blows on a fire during the second half of the 2017 Forest Games at Ballaine Lake. 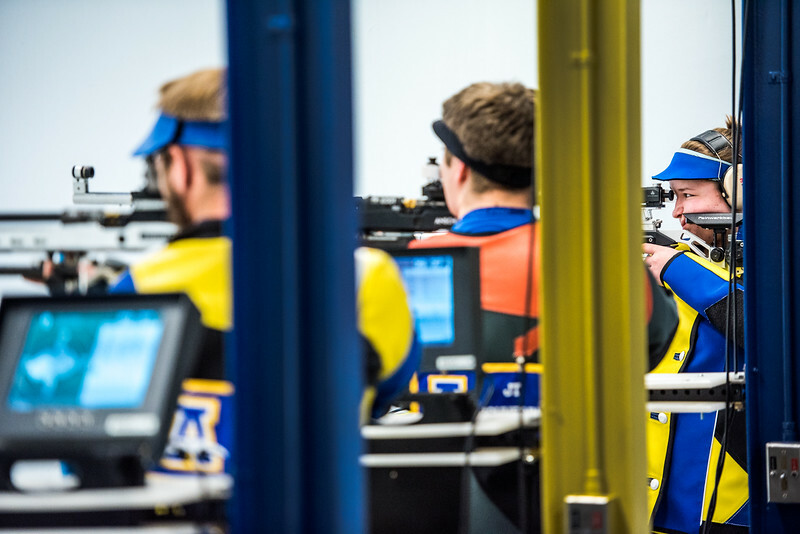 Robert Scott (left), JT Schnering (middle), and Grace Nelson (right) compete during the Nanook rifle team's first home match of the year against Ohio State University on Oct. 14, 2017. 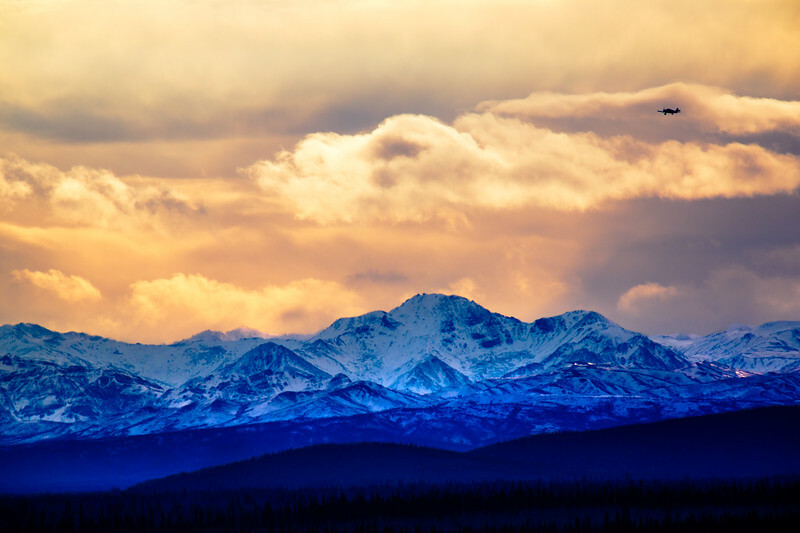 A propeller plane flies over the Alaska range in late October. 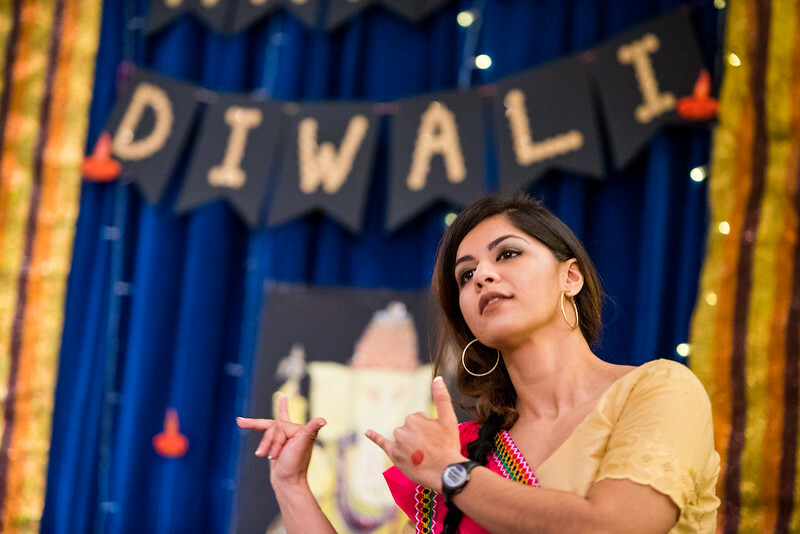 Namaste India hosted Diwali 2017 in the Wood Center Ballroom. The night consisted of Indian food, Bollywood dancing and traditional stories. 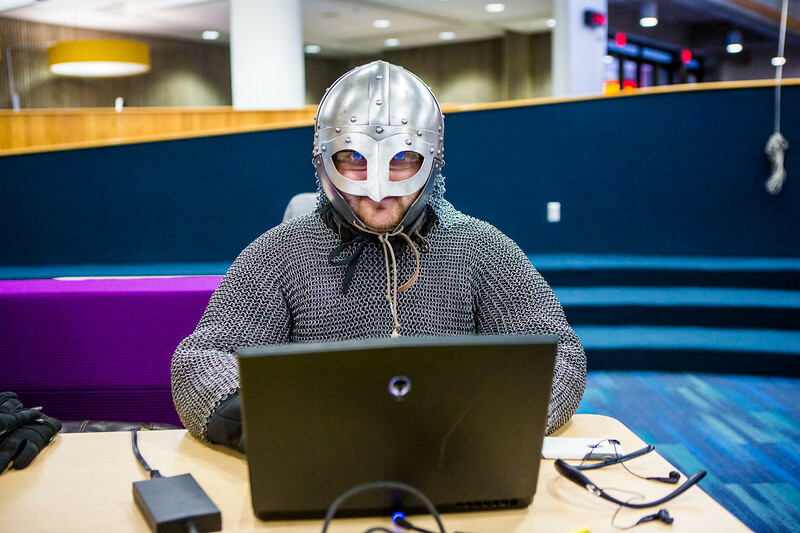 A UAF student poses for a portrait in his costume on Halloween 2017. 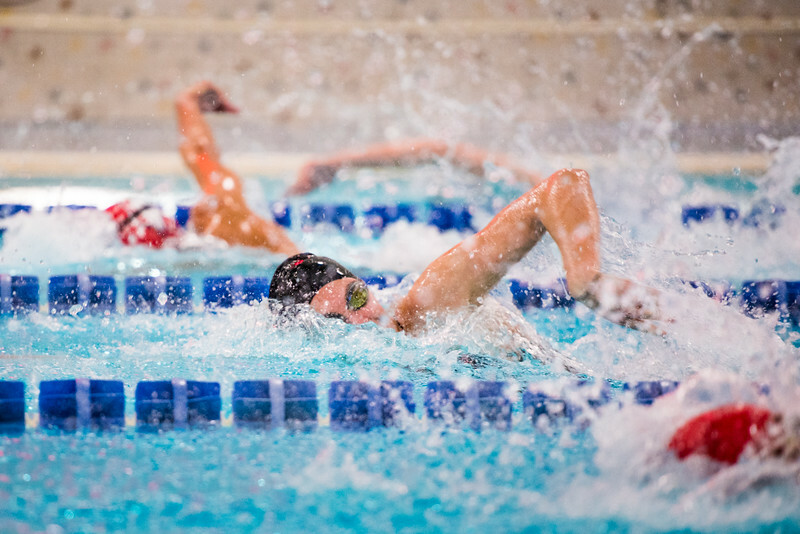 Swimmer Katherine Stark races down the pool during the 100-yard freestyle, an even that she won. The Nanooks won on both Friday and Saturday against Dixie state. 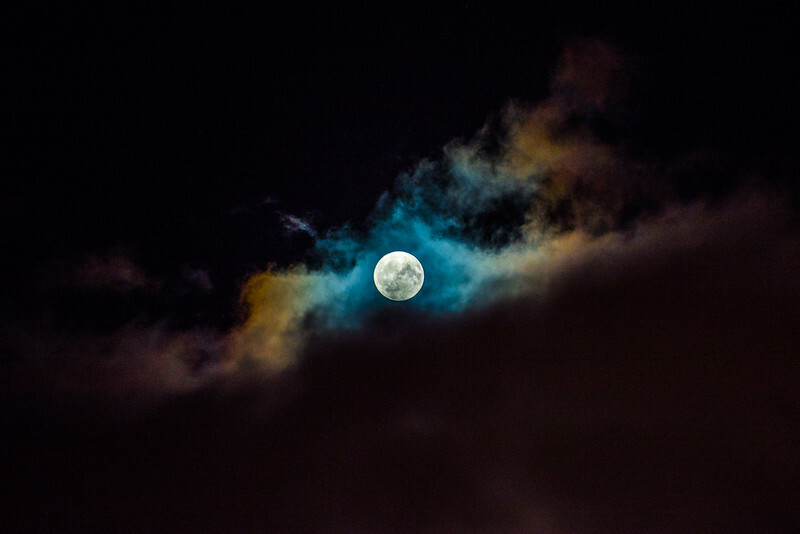 The shines through a thin cloud covering on Nov. 3. 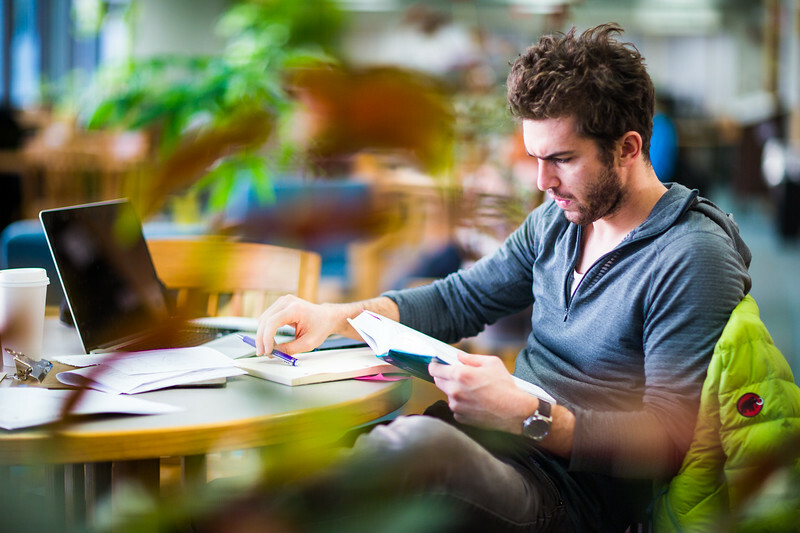 Jordy Bernard poses for a portrait in the Rasmusson Library while studying. 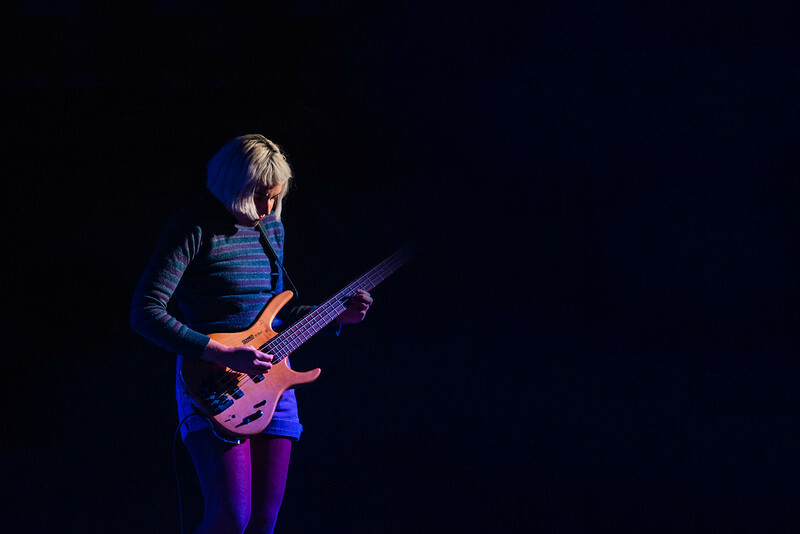 Jilian Medford of the band Ian Sweet performs during their joint concert with Diet Cig on Nov. 18, 2017 in the Wood Center Ballroom. 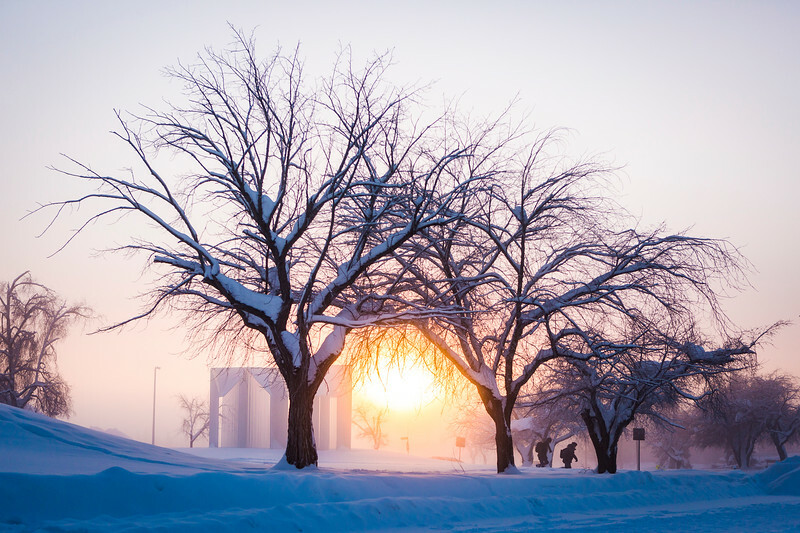 A student walks towards the Wood Center as the sun sets over campus on Nov. 17. 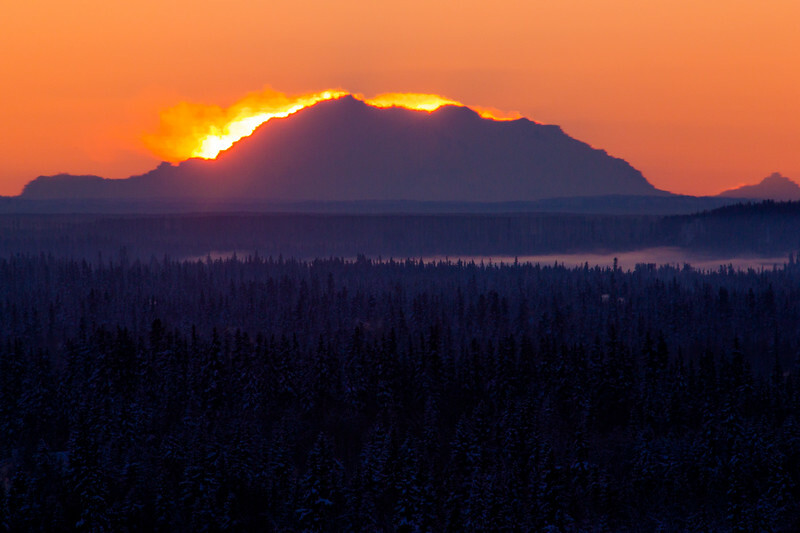 The sun sets spectacularly over Denali on Nov. 20. 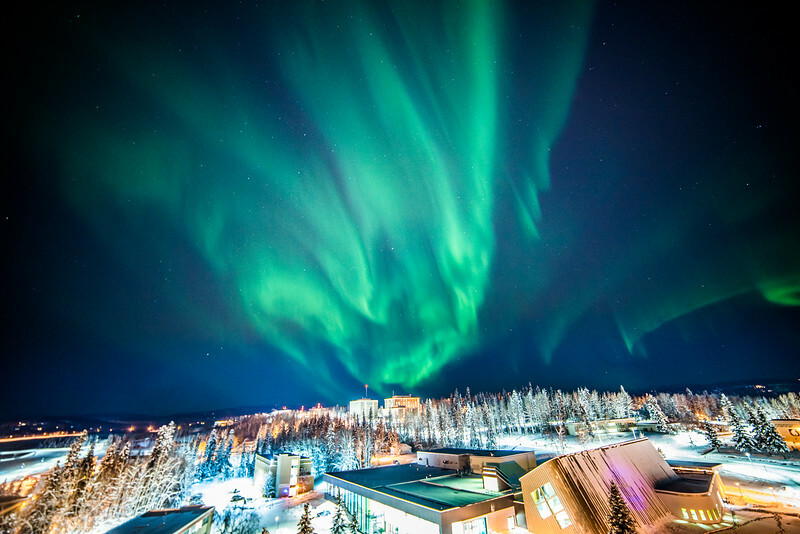 The northern lights dance over the top of campus on Nov. 20, 2017. Photo taken from the roof of Gruening. 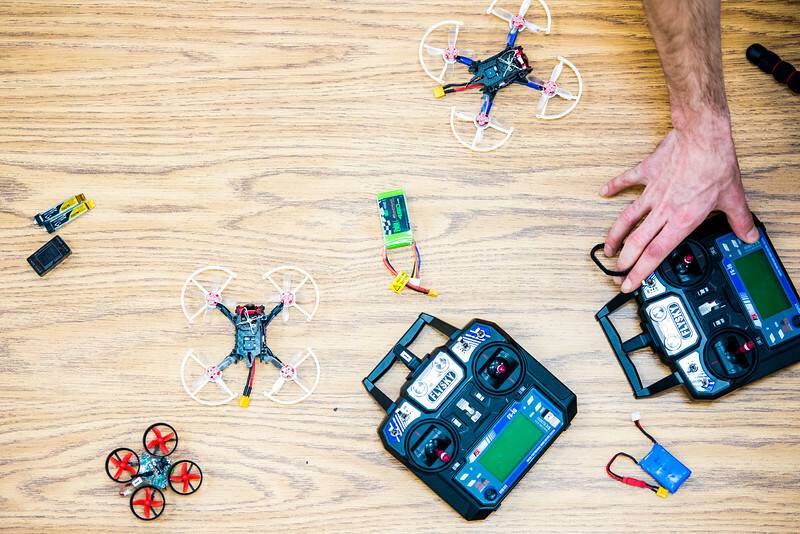 ACUASI employees fly miniature drones during a promotional photoshoot for an upcoming drone racing competition. 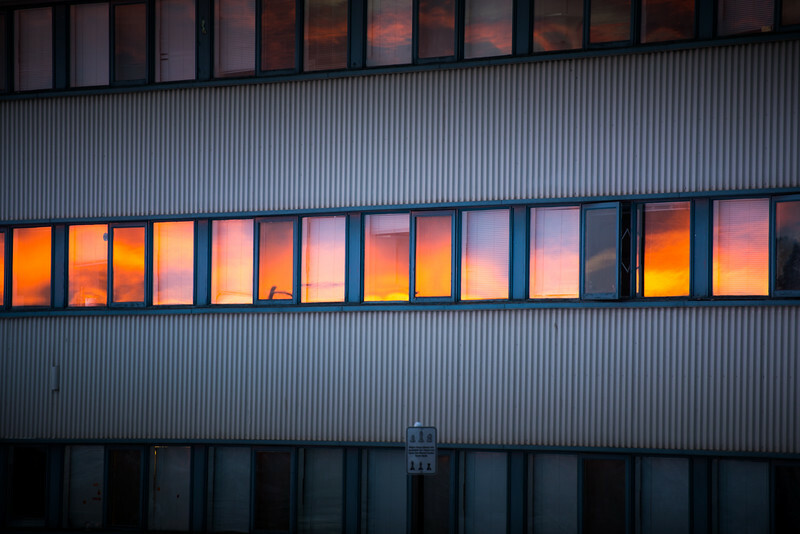 The sunset is reflected in the Wickersham Hall windows on Nov. 29, 2017. 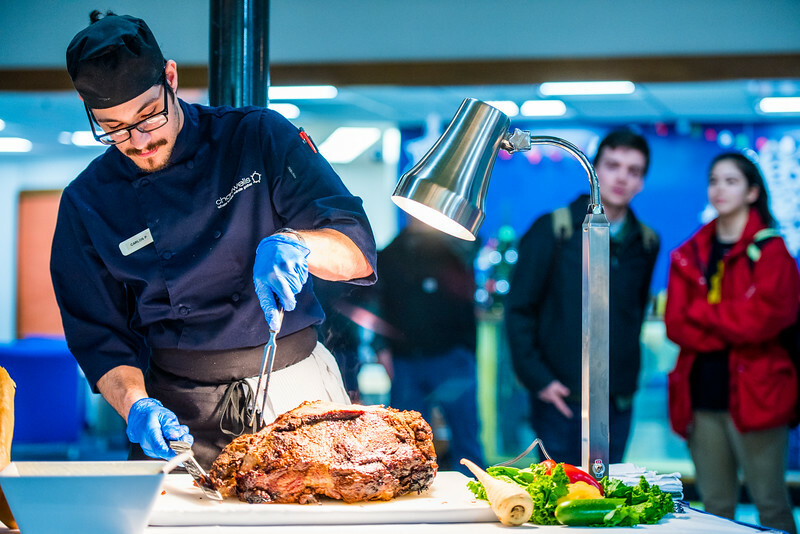 Chartwells employee Carlos Perez cuts up beef during the Chancellor's Holiday Gathering in the Wood Center multilevel lounge on Dec. 4, 2017.